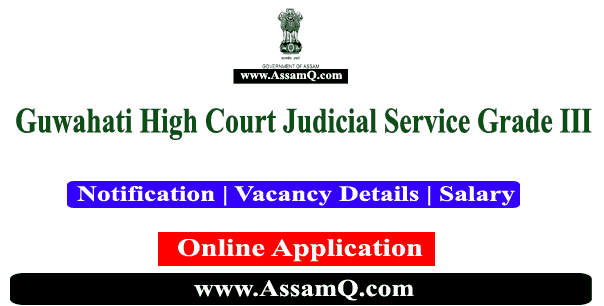 Assam Judicial Service Grade III [38 Posts] | Gauhati High Court Recruitment 2019: Guwahati High Court invites application from Indian Eligible Citizens for filling up 38 Nos. Grade III vacancies. No. of Post: 38 Nos. Remuneration: Pay Scale of Rs. 27,700-770-33,090-920-40,450-1080-44,770/- per month plus other allowances as admissible under the Rules. 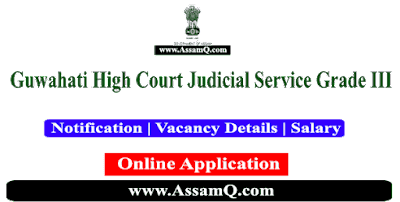 Age Limit: Must not have completed, as on the last date fixed for receipt of applications 43 years of age in the case of candidates belonging to Scheduled Castes or Scheduled Tribes and 38 years of age in the case of others.